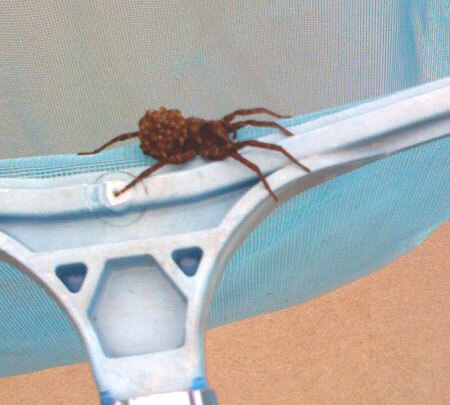 I found this spider clinging to the side of the pool today, so I got the net and fished it out. I tapped it out onto the lawn. At the time, I didn’t realize her bumpy back looked that way because she was carrying baby spiders. I’ve been told this is a wolf spider. I only had my iPhone with me instead of a proper camera, so the image is a little bit fuzzy. Southern Pines, NC back yard wild life! If you have pictures of North Carolina spiders to share, let me know! 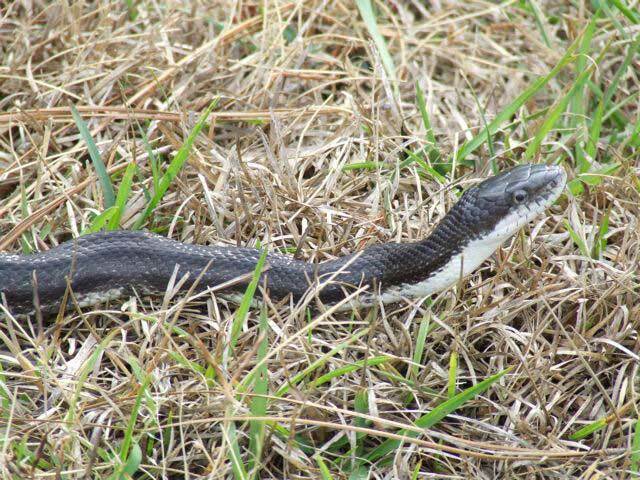 This is a snake that was in my yard in Southern Pines just a little while ago. I usually find snakes in my pool a few times a year, but I’ve never seen one in the grass. I’d say it’s close to 2 feet long. It’s black with a white underside. Creepy!